Dedicated to Protecting Your Freedom, Family & Future. At The Clark Law Firm, we handle the challenges that affect your family, working diligently to protect your assets, rights, future, and freedom. Our robust practice incorporates both criminal defense and family law matters to make it simple for our clients to find the one-stop law firm they require. Throughout our 35+ years of combined professional experience, we have successfully handled thousands of cases of numerous practice areas, from driving while intoxicated (DWI) charges and violent crimes to divorce and child custody. Born and raised in Fort Worth, our lawyers have an in-depth knowledge of the courts, judges, and the way the legal system works. 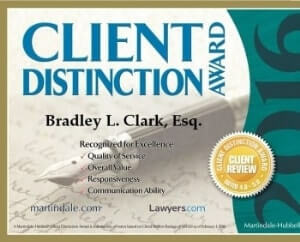 As a former prosecutor, founder Brad Clark has experience with seeing criminal cases from both sides of the courtroom. We have the insight needed to anticipate the case against you and build a defense or counterargument that addresses key issues logically and with sound legal footing. When tackling a family law dispute, we make sure to keep your best interests at the center of everything we do, whether it is fighting for visitation rights or modifying a preexisting divorce order. Why Hire a Criminal Defense & Family Law Attorney from The Clark Law Firm? 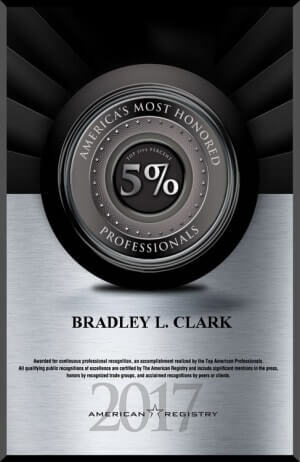 Client satisfaction has always been and will always be a top priority at The Clark Law Firm. In order to keep our legal services fair and efficient, we offer flat fees for all criminal cases and implement the latest technology to expedite communications and research. All of our processes are electronic and use high-end software that simplifies process that used to be lengthy or complex. We subscribe to premium services to have access to high-end legal materials and legal content so we can be on the forefront of the ever-changing laws in Texas and the United States. With a full-time administrative staff, our Fort Worth criminal defense and family law attorneys can devote their full attention to your issues, rather than having to stop their progress for office work. Due to our experience with criminal defense and family law, as well as our unwavering commitment to excellence, we have been able to secure great verdicts and case results for our clients. A quick review of client testimonials can attest to our skill and dedication. We do not resolve your case for anything less than optimal results. Call our Fort Worth lawyers today at (817) 435-4970 to schedule your complimentary consultation. 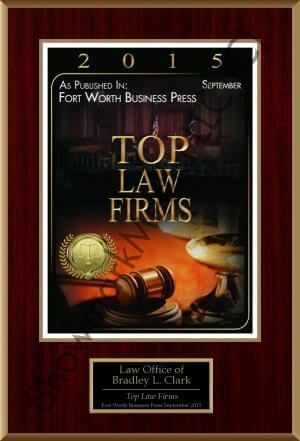 If you have questions or concerns, contact our Fort Worth lawyers at The Clark Law Firm. We can be reached at (817) 435-4970 or by filling out our secure online form.